A grassy track gives access to views from a pa site over the Bay of Islands from Du Fresne Place and carpark. 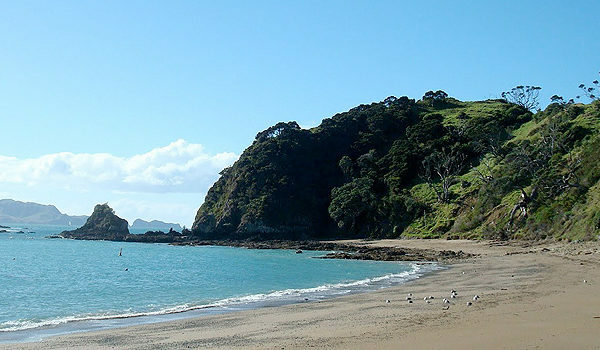 Located just two minutes from historic Russell, Tapeka Point is the perfect base for exploring and enjoying the Bay of Islands by land or water. There is a beautiful white sandy beach safe for swimming and a second rocky beach for fishing and diving. A boat-ramp, deep-water boat mooring, swimming pontoon, ski-lane, and grassy reserve make it an idyllic location for a relaxing or active break.